Congress party has promised to amend AFSPA if it was voted to power in Lok Sabha elections 2019. 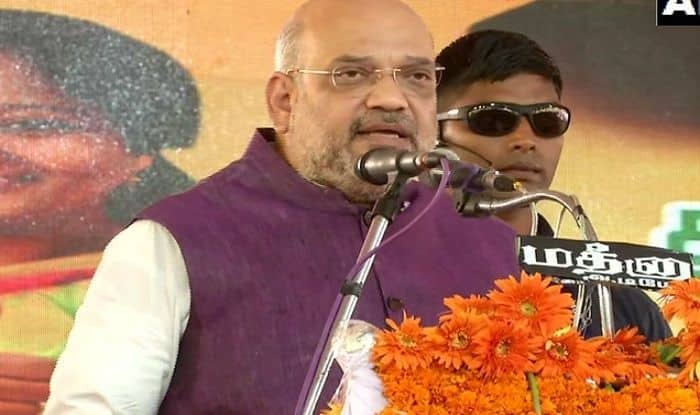 New Delhi: Bharatiya Janata Party (BJP) president Amit Shah on Tuesday lambasted Congress for promising review of the Armed Forces (Special Powers) Act in its manifesto for Lok Sabha elections 2019, saying the grand old party wants to demoralise the forces posted on borders. ” I want to ask Congress president, does he want to strengthen the armed forces or is he trying to demoralise them. What message does he want to give on AFSPA?,” asked Shah while addressing a rally in Tamil Nadu’s Tuticorin. Earlier in the day, Rahul Gandhi released Congress’ election manifesto and promised to amend AFSPA, that grants special power to the armed forces i.e, to arrest, use force and even open fire on anyone who violate the law. Besides, Jammu and Kashmir, the AFSPA Act is applicable in Nagaland and Manipur and some parts of north-eastern states. The manifesto said that the proposal to amend AFSPA, 1958 is aimed at striking a balance between the powers of security forces and the human rights of citizen and to remove immunity for enforced disappearence, sexual violence and torture. Besides, Shah, Union Minister Arun Jaitley also criticised Congress’ manifesto and called it ‘dangerous and unimplementable’. “It (manifesto) was an agenda for balkanisation of India,” Jaitley said.